Frozen embryos, divorce and who gets custody. It's an emotionally charged situation couples who struggled with infertility face during divorce. Have you ever wondered who gets the frozen embryo after divorce? An unprecedented ruling which was recently passed in Ontario, Canada may change the way these types of cases are dealt with in the years to come. In August of 2018, a Canadian woman was given the rights over an adopted embryo that was created using donated gametes (an egg and sperm cell). The now-divorced 48-year-old Greater Sudbury woman was awarded custody over an embryo she had acquired jointly with her ex-husband in 2012. The ex-husband had stated that he wanted the embryo to be given up for adoption, citing that he paid the full price for the development of the embryo and that it was partly his property. He feared that his now ex-wife would look for more child support from him if she was granted custody of the embryo. The woman, though, stated that she will not be looking for child support from her ex-husband and that her son, born from one of the embryos created, deserved at least one direct biological relative. Contracts signed by the couple when creating the embryos had different outcomes if the couple were to have a dispute or get a divorce. The case raises an interesting debate over whether or not embryos may be treated as property and how to deal with an embryo that has no direct biological connection to any of the parties involved. The couple, who got married in 2009, purchased the gametes in February 2012 at a center based in Georgia, USA called MyEggBank. The gametes were put together to create four embryos — two of which were unsustainable and therefore destroyed. The third was implanted in the woman at the ISIS Regional Fertility Clinic in Ontario, Canada, leading to the birth of a healthy boy in December 2012. Later that year, the husband separated from the woman and an unpleasant divorce followed. The fate of the last and final adopted embryo remained in dispute. The unique case raises concern over the purchase or sale of an embryo. This is because — according to the Assisted Human Reproduction Act — it is illegal to do so in Canada. Under federal law, spouses must create embryos from their own sperm and eggs — and both partners have joint control over them. So if one party decides against using the sperm and the eggs, the other cannot use them either. This stands whether the couple is in disagreement or have divorced. However, when there is no biological connection between the couple and the embryo, it is a new and unexplored territory. Federal law regarding the ownership and use of genetic material is not as mature in Canada as it is in the United States where the sale of gametes is legal in some states. Whether an embryo is considered to be a person or property is a hotly debated and highly sensitive subject. This is why the decision, made by Superior Court Justice Robert Del Frate, was considered a first of its kind. When the embryos were purchased from Georgia, the couple had signed two agreements with MyEggBank. Later when they brought the embryos to the ISIS Regional Fertility Clinic, another separate contract was signed in Ontario. The couple chose to donate the embryo. However, in the Ontario contract, which offered similar options, there was a vital difference. In the case of a divorce or legal separation, the contract stated that both parties will respect either the wishes of the fertility center, the partner, or the patient. The couple chose to respect the wishes of the patient, which as it turns out, is the woman. The court asked both parties if they were fully aware of the contracts they were signing and that they weren’t under any undue stress or influenced in any way when signing them. Both the man and the woman stated they were of sound mind when signing the contract. The contract, signed in Ontario, Canada, stated that if the couple divorced, the mother’s wishes were to be followed. 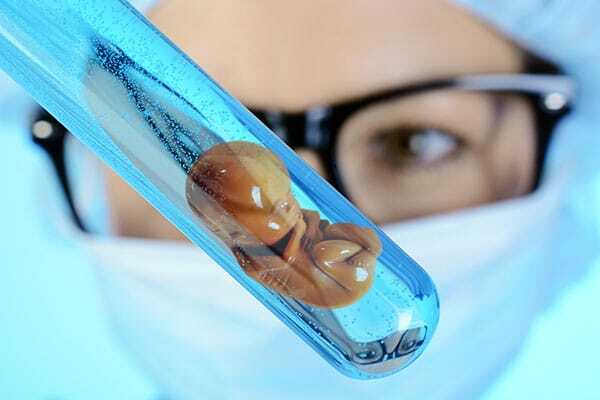 The judge chose to see the embryo as property and awarded it to the woman based on Ontario Contract Laws.